← Japan, The Tourist Land. I’ve been going to the Portland Art Museum the last Friday of each month because it was free, fun, and I love art. Since October 2015 though, the day has changed to the first Thursday evening for free admission, with all Friday evenings just five dollars. On these evenings be sure go to the lower level ‘pub’ for a drink first. Good wine, good art, good friends, what more can you ask for! Just before closing, this painting caught my eye, so I snapped a quick photo to remember it. It is by Giuseppe Bonito (Italian, 1707-1789) and is titled ‘The Femminiello’. It is an oil on canvas, a gift of the Ross Family Fund of Equity Foundation, in 2014. Here is the description of the painting, as written word for word, next to the painting. 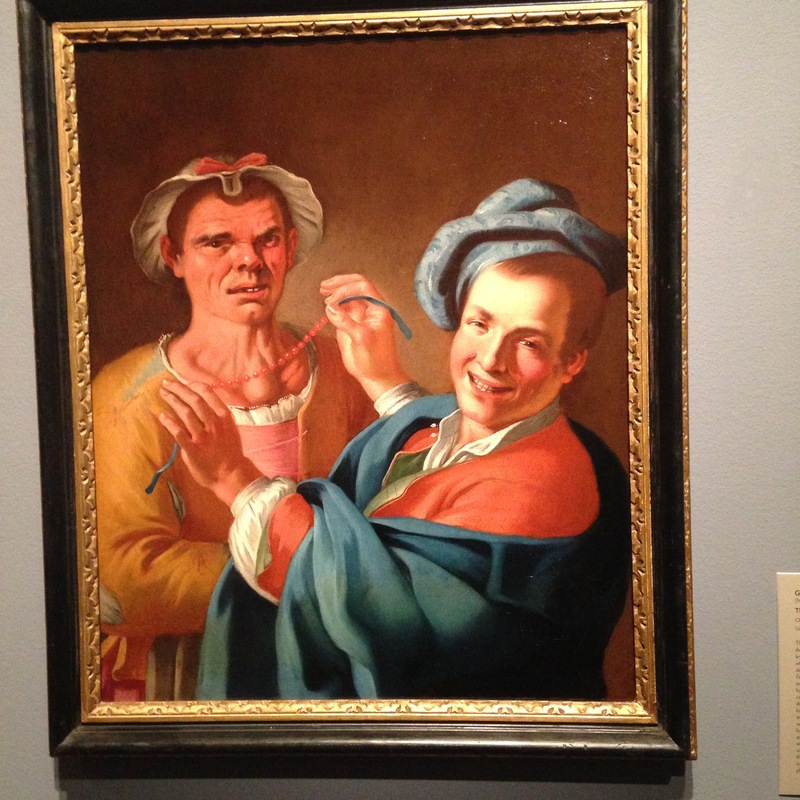 This entry was posted in art and tagged crossdressers, femminielli, femminiello, giuseppe bonito, portland art museum, transvestites. Bookmark the permalink.